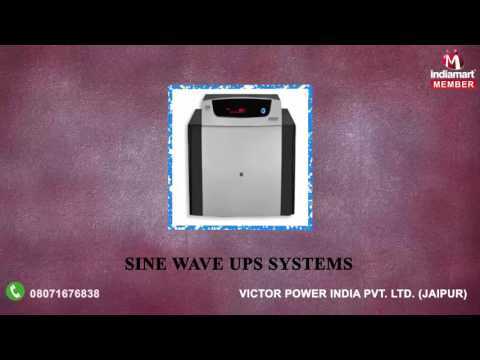 "Victor Power India Pvt. Ltd." got established in the year 2012 at Jaipur, Rajasthan. We are a Private Limited Company engaged into manufacturing, supplying, distributing and trading of Electrical Appliances & Batteries. Our offered products are UPS Systems, Inverter Batteries and Automotive Batteries and many more. The range is widely used in various places for its great features and ensures to meet the needs of end customer. The products and services are well known for their efficient performance, high quality, reliability and durability. We are blessed to have some of the best professionals in the industry who are rendering great help in developing the finest range of products available in the market.